Love this couple - we had so much fun - the kids came (my kids that is) - we wandered all over the park - can't wait for their wedding in August!! We actually had a disaster...a water bottle leaked all over one of my cameras so Jessy didn't get to shoot but it worked out and fortunatly my camera is fine! Disneyland was packed as it was during the holidays but with that it was so beautifully decorated! I have known Lauren and her awesome family since she was in junior high - was so excited and thankful when she called me for engagement and wedding photos. It's so fun to watch people grow up and continue to share in their life. Lauren is a sweet girl - so loving, kind and fun and will make a great wife. Her excitement for planning their wedding is infectious! Ronnie is a chef - and that is just something to be jealous of right???? I keep trying to convince one of my five kids to go to chef school!!! He adores Lauren and it's fun to watch. 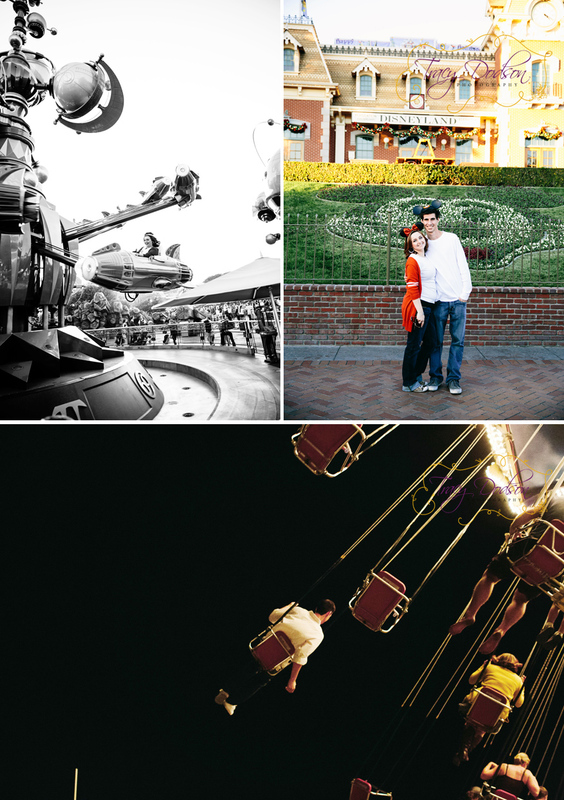 Disneyland is their favorite place on earth so how fitting to document their sweet story where they love most to be. 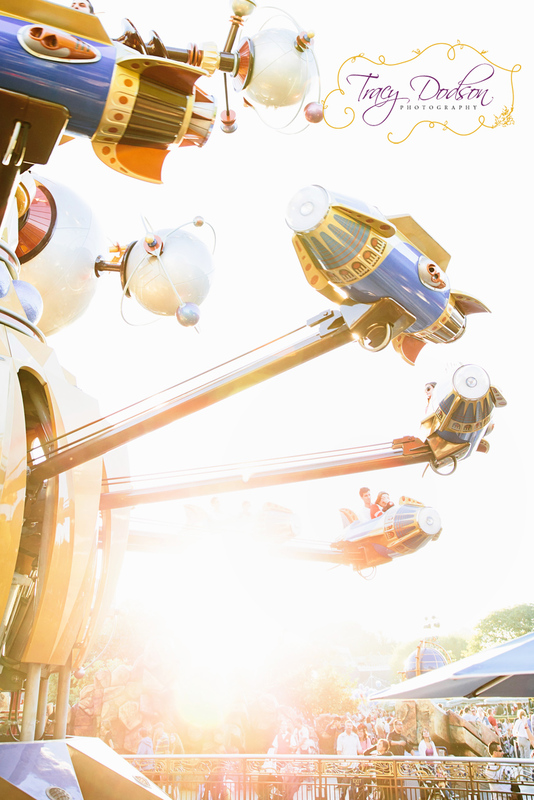 My favorite part was on the rockets because Lauren could not stop gut laughing or closing her eyes...but the pics are awesome so it was worth her fear!!! and with Christ at the center they will live happily ever after! Omgsh, this shoot is so cute! 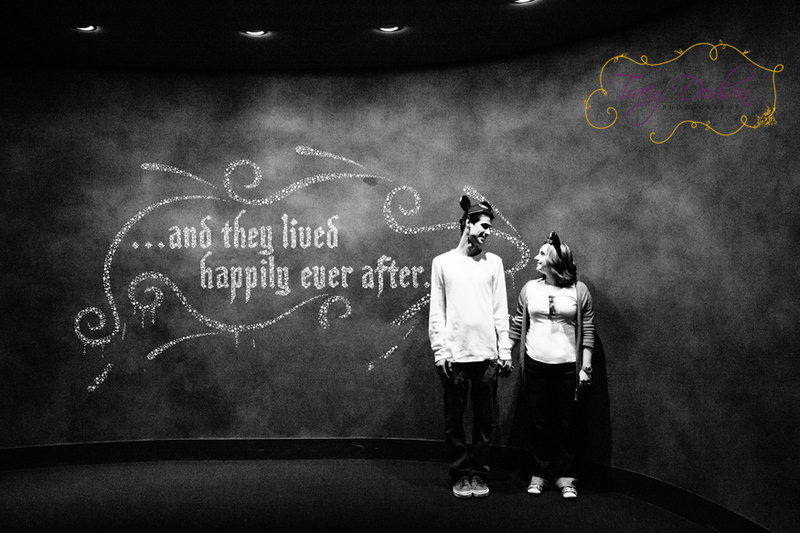 I always loved couples who did shoots at Disneyland. thanks girls! it was so fun!